Ever since Doodlebug Design released their new stamp sets, stamping on layouts has been my new favorite technique! I had so much fun creating the jelly bean background using the jelly bean from the Hoppy Easter stamp set. 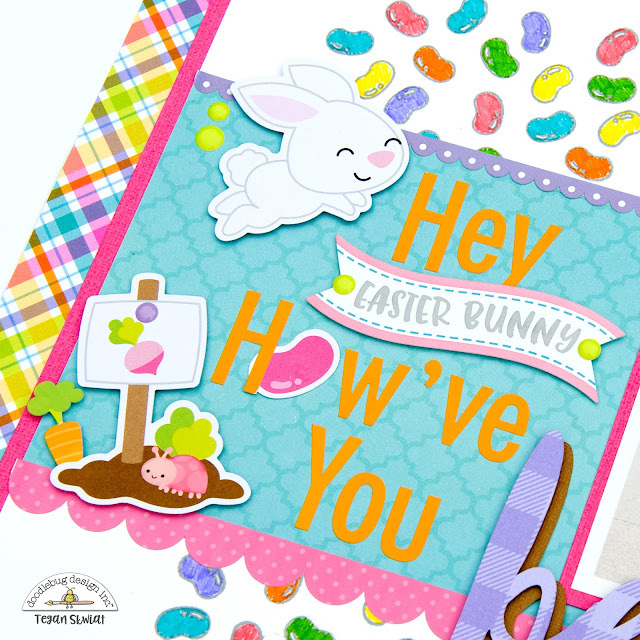 And I couldn't wait to use the entire Hoppy Easter collection to document my niece's time with the Easter Bunny! Stamping the random jelly bean pattern was so easy and I love the whimsical design it adds! I used Odds & Ends pieces and Icon Stickers to embellish this section. Did you find the little purple ant Sprinkles sticker in the grass? Seriously how cute is this little hopping bunny? He might be my favorite! I created this part of the title using the Tangerine Skinny cardstock alpha stickers and an Odds & Ends banner piece. And of course I used lots of Sprinkles to embellish my page! 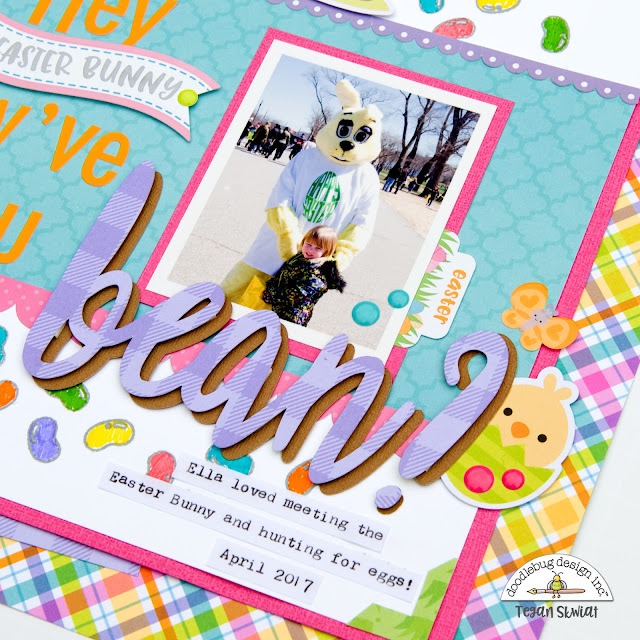 I really wanted to emphasize the word 'bean' so I used my die cut machine to supersize it using fun patterned paper backed with a solid cardstock. I finished off my layout with the chick Odds & Ends piece and of course more Sprinkles! ​ Thank you for joining me today! 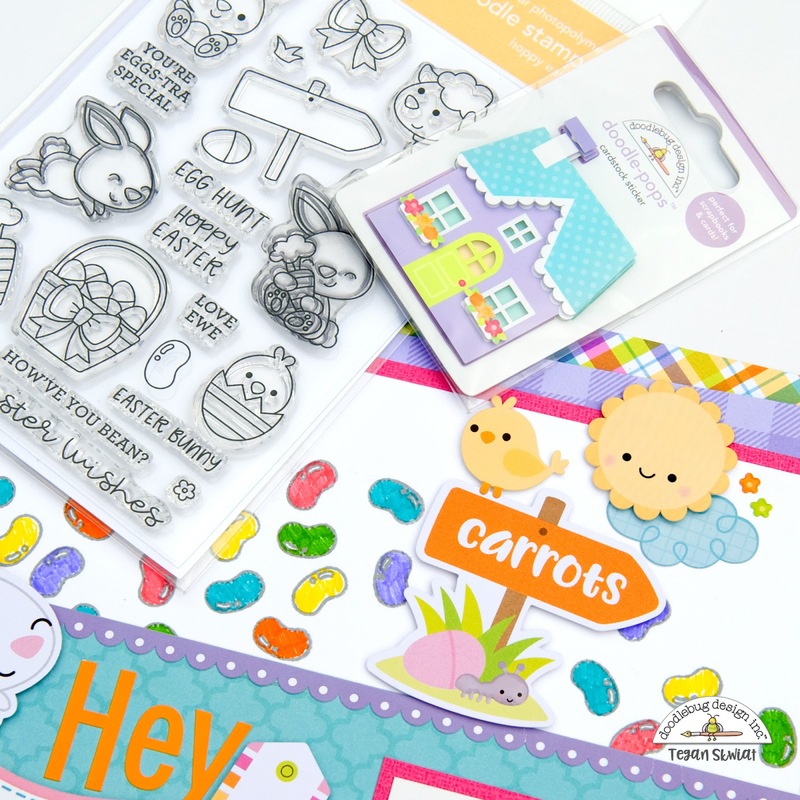 I hope I have inspired you to stamp on your next layout! Absolutely adorable! 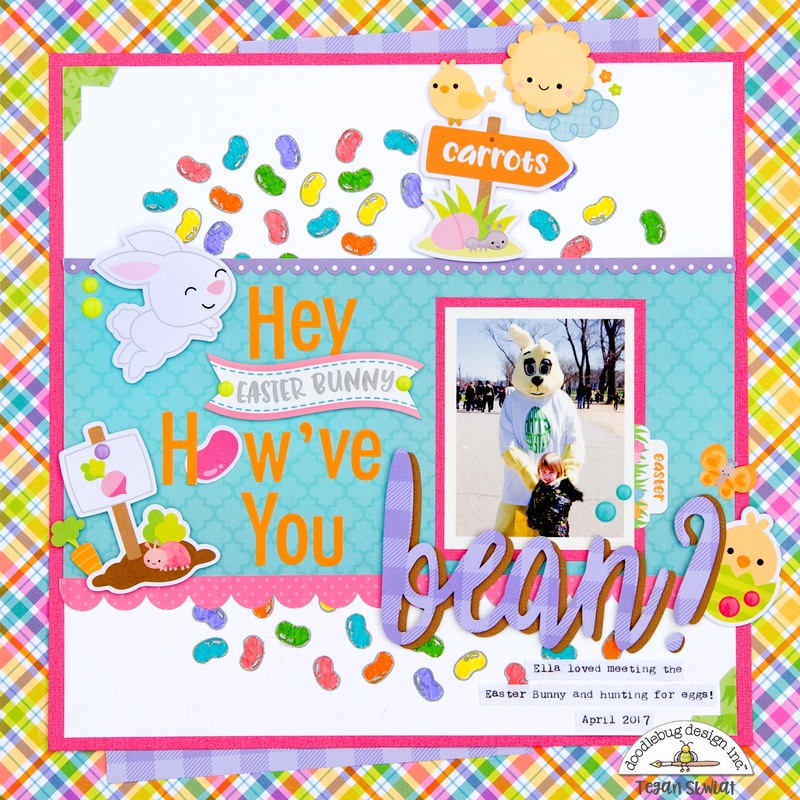 Love those jelly beans!